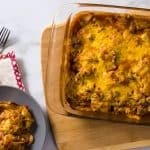 Make a dinner that wows with this taco bake casserole! It’s so easy and your family will ask for it again and again. So cheesy and filling! If you ask me my favorite type of food, I can tell you immediately: Mexican! 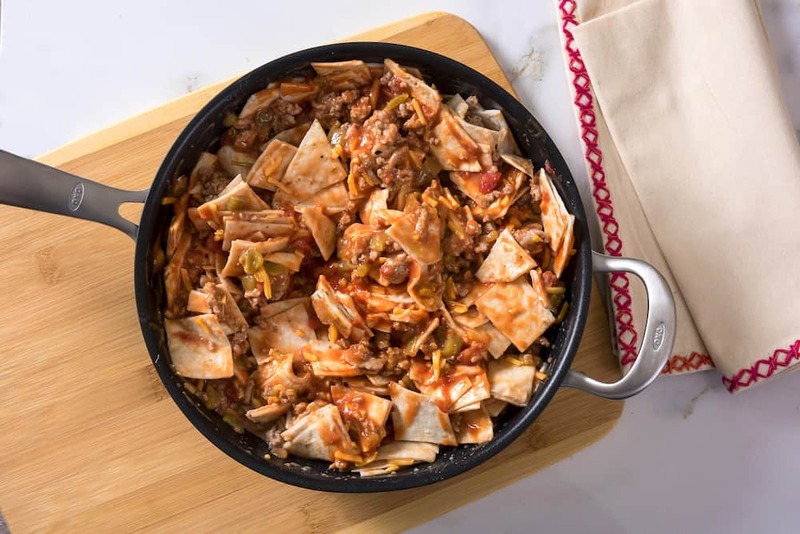 I’ve been craving it like crazy lately, so I decided it was time to satisfy the cravings with a delicious tortilla and turkey taco bake. 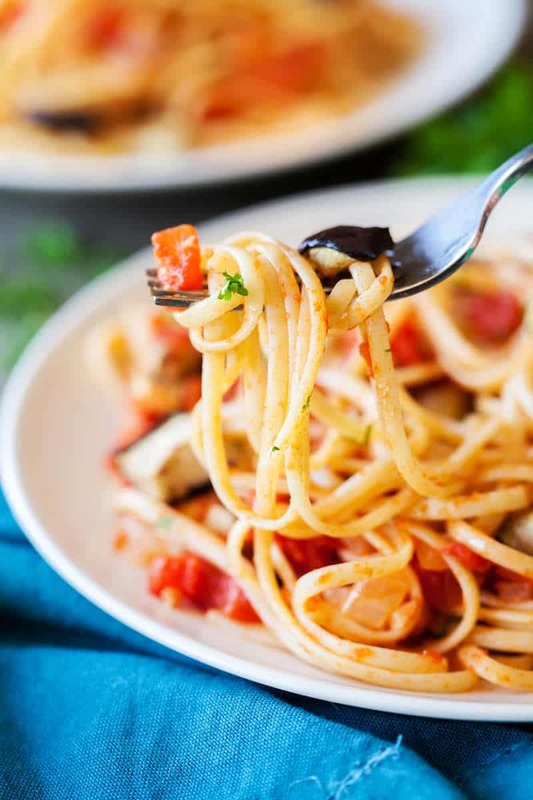 I wanted to make sure this recipe was inexpensive to make and would have leftovers too . 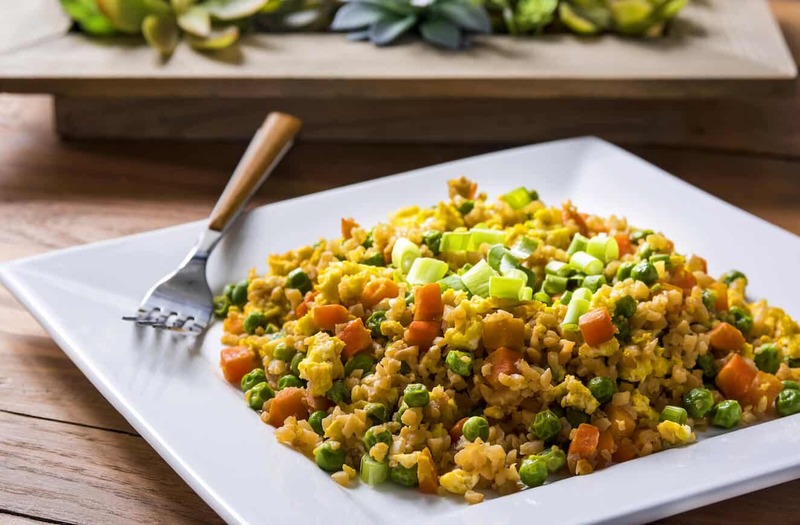 . . which means it’s perfect for feeding a family on a budget! 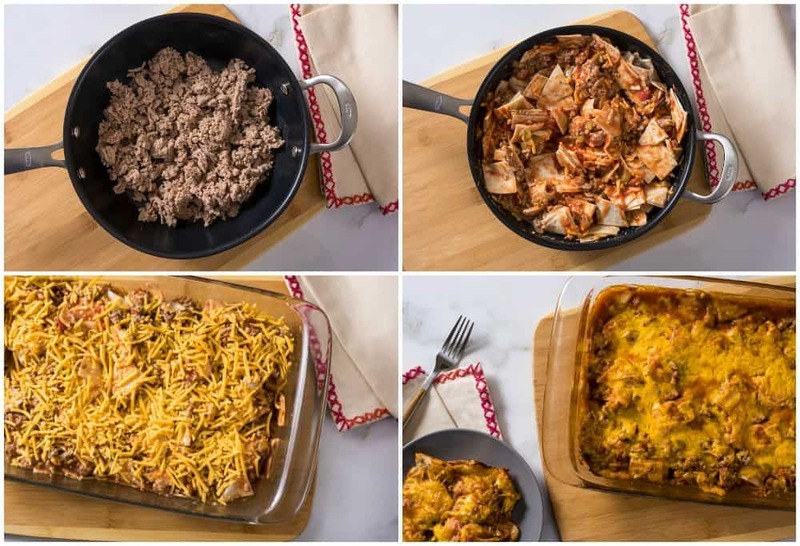 My other favorite thing about this taco bake: you don’t have to be a master chef to assemble it. 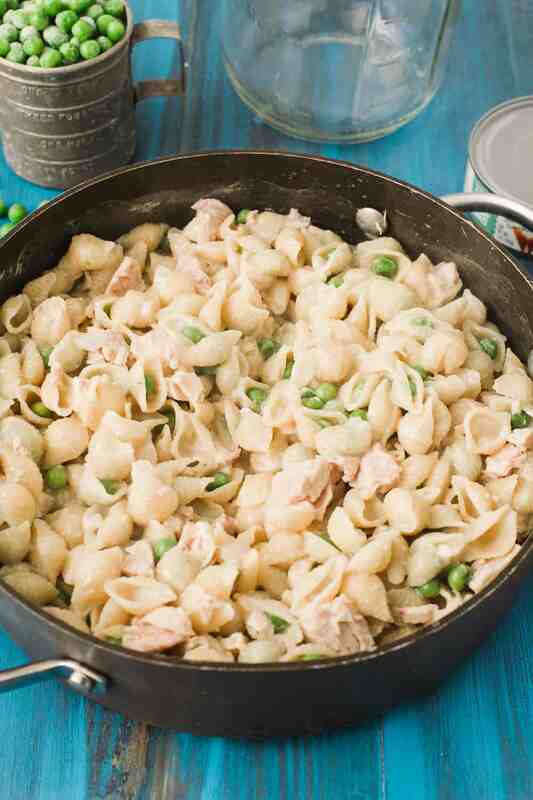 If you can boil water, you can make this casserole! 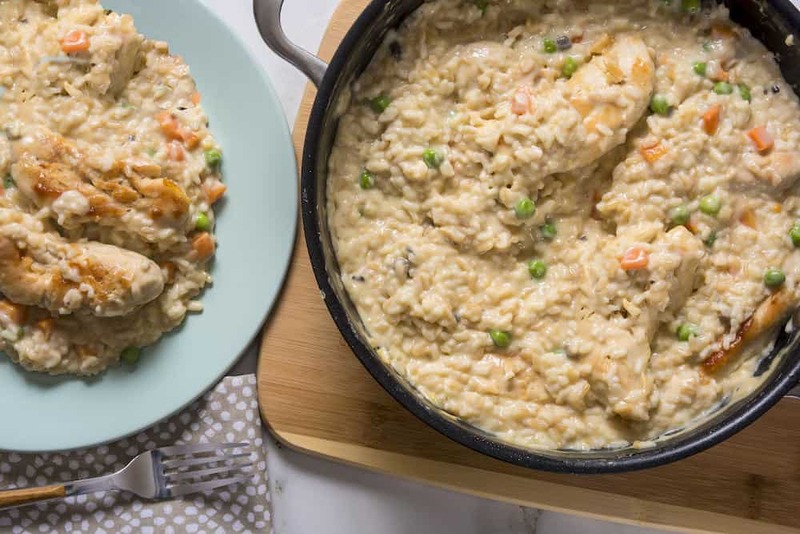 Your family is going to love this dish and I promise it’s going to become a go-to for your family. 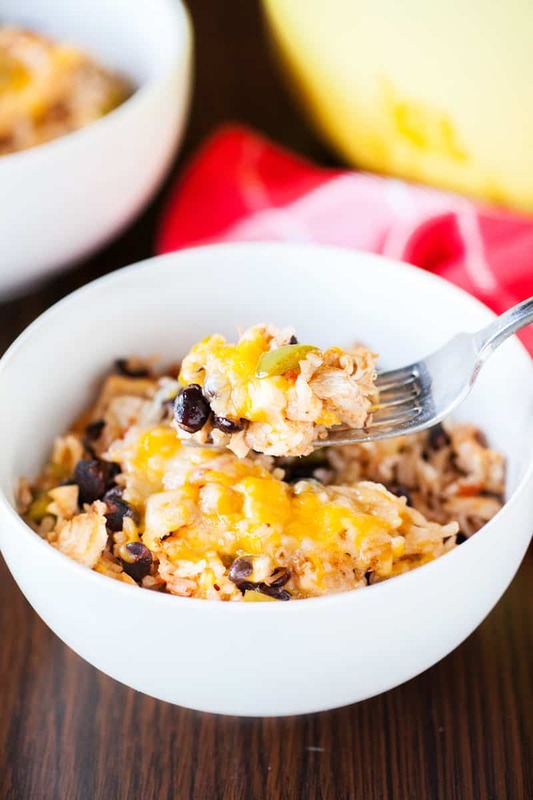 It’s perfect for Cinco de Mayo (which is coming up) but you’re going to love it any time of year. In a 12-inch skillet, cook the ground turkey over medium-high heat until it’s fully cooked. Stir frequently to break up the meat. While the turkey cooks, cut your tortilla into pieces. Stir in the soup, salsa, milk, diced chiles, tortillas and 1/2 of the cheese into the skillet. Spoon the entire mixture into an 11 x 8-inch baking dish. 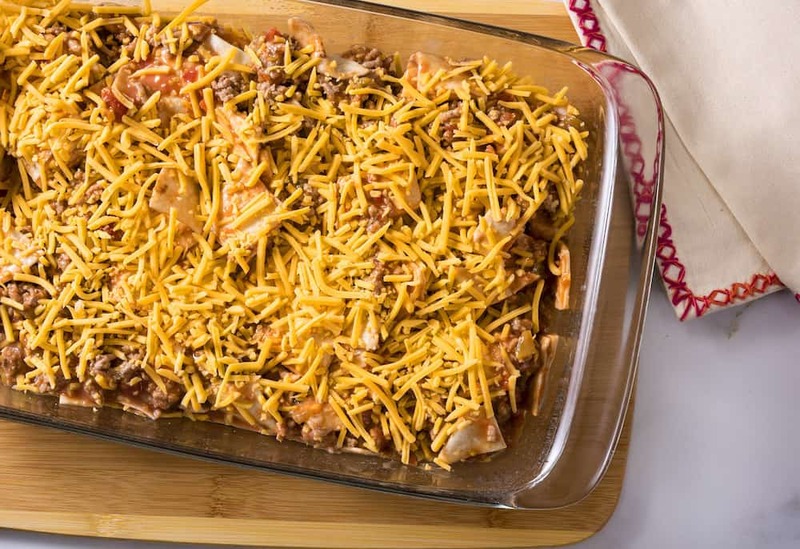 Sprinkle the remaining cheese onto your taco bake and cover with aluminum foil. Bake at 400ºF for 30 minutes or until the cheese is melted and bubbling on top. Pull from the oven and let cool slightly before serving. 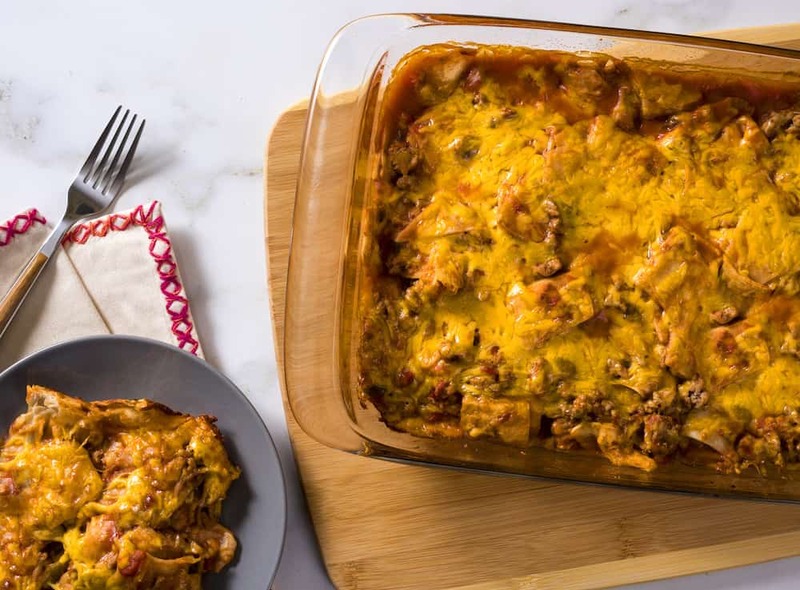 Make a dinner that wows with this taco bake casserole! It's so easy and your family will ask for it again and again. So cheesy and filling! 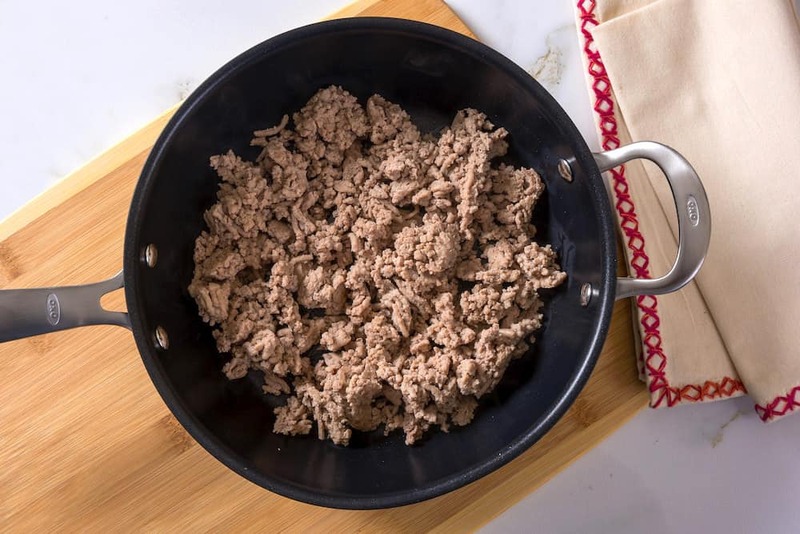 In a 12-inch skillet, cook the ground turkey over medium-high heat until it's fully cooked. Stir frequently to break up the meat. Stir in the soup, salsa, milk, diced chilies, tortillas and 1/2 of the cheese into the skillet. Spoon the entire mixture into an 11 x 8-inch baking dish. Pull from the oven and let cool before serving.